Cork is Ireland's second largest city that sits along the southern coast. It is a seaport city that once began as a swampy island located next to the River Lee. As time went by it slowly climbed the banks on both sides of the river. Today there are bridges everywhere as the river gently flows through the city. With this city dating back to the 6th century, historic sights can be easily observed. Channels where ships once anchored can be seen under streets along with huge gateways that lead to where boathouses once were. The streets are hilly providing echoes of the locals with their distinctive rhythmic voices. There are many distinctive shops in Cork that offer beautiful crystal to hand-made pottery and everything in between. Most shops can be found along Patrick's street. A collection of high street stores can be found at Mahon Point Shopping Centre as well as cafes, restaurants and cinemas. In the 7th century, St. Finbarr founded the city and built a monastery where the famous St. Finn Barre's Cathedral is now located. The Cathedral is located in the center of the Cork with personal tours offered daily. It has historic significance and visitors will be astounded by its beauty of architectural design that was created by William Burges in 1870. This castle-like prison is located 2km's from the main thoroughfare. It once housed prisoners back in the 19th century who were often forced to live in terrible conditions. Visitors will experience life-size figures, audio effects with image effects as the history of Cork is presented explaining why crime became so common during the 19th century and many ended up in Gaol. Tours are offered in many languages. This castle is almost 600 years old. It was built by Cormac MacCarthy who was a great chieftain. It now attracts millions of visitors and is considered a world landmark. The famous Blarney Stone is located on top of the tower; kiss it and you'll never be at a loss for words again. The most famous landmark in Cork is St Ann's Church. Climb the tall tower and ring the bells along with taking in the gorgeous view of the city from the viewing balcony. This university was founded in 1845. It is considered one of the world's top universities for higher education. 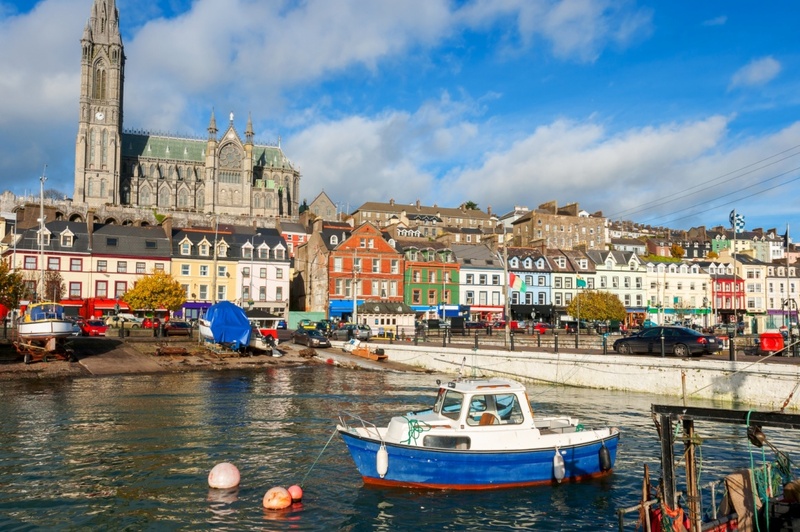 Find information about selected Hotels, apartments and rooms in Cork to choose the perfect place for your accommodation.